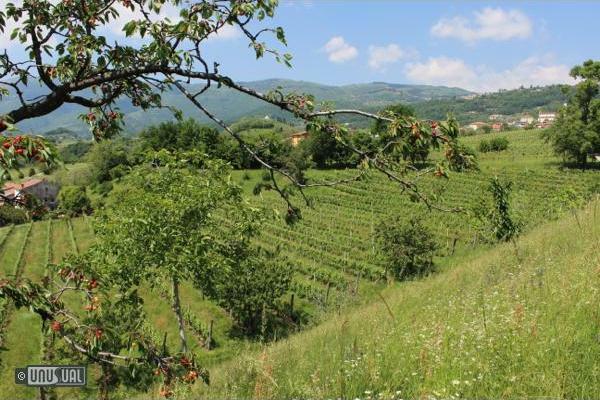 In the centre of the Veneto Foothills, "going old school" takes on new meaning with the "bed and brunch" provided by La Scuola. Here, guests are greeted in a stylishly restored building from the 1920s that was used as a school until the 1960s. 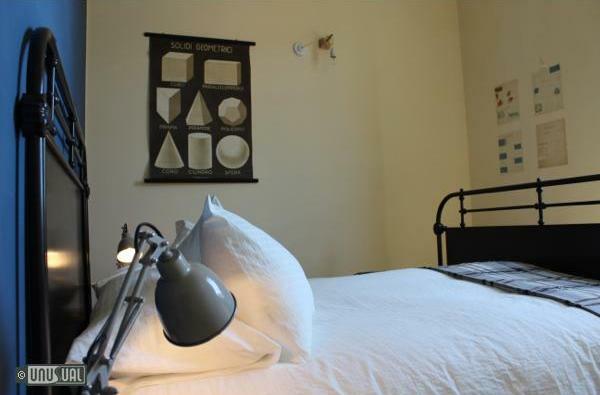 Restored to its original splendour, each room is dedicated to a school subject: choose arithmetic, science, history, or go to the top of the class and take the schoolmistress's room, with skylights and a romantic claw foot tub. 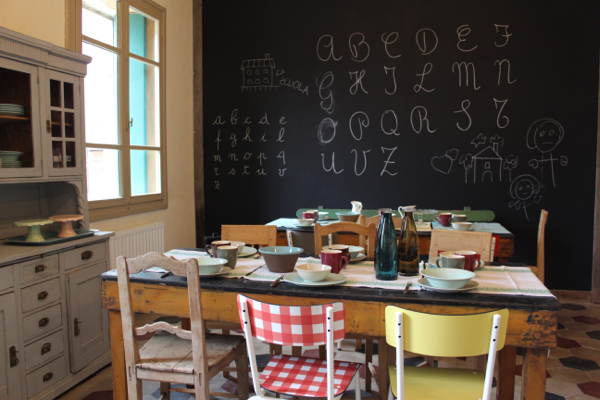 Full of unexpected delights - children's compositions embedded into the walls, educational posters, an old abacus, a little wooden desk... surrounded by beautiful scenery, pine covered forests, mountain pastures and attractions like Palladian villas. 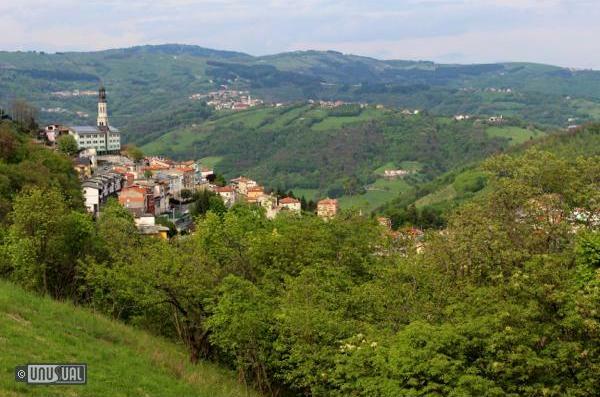 Located just an hour and a half from Verona and Venice, a bit closer to Padova and Treviso, and halfway between the medieval town of Bassano del Grappa and the hiking trails up to the mountains of Asiago. Ideal for a long weekend in the country, but also the perfect base to see the whole region for those from further afield. Teach someone a lesson? Take them to La Scuola ! This really was a school and when Valeria and Marco were finished sprucing it up, they kept all the charm and nostalgia of the old days of school. Some of the rooms are lined with original children’s compositions embedded in the walls. Choose the arithmetic room, the geography room, or if you are teacher’s pet, the Maestra’s (teacher’s) room with a clawfoot bathtub, wood beamed ceilings and romantic views. 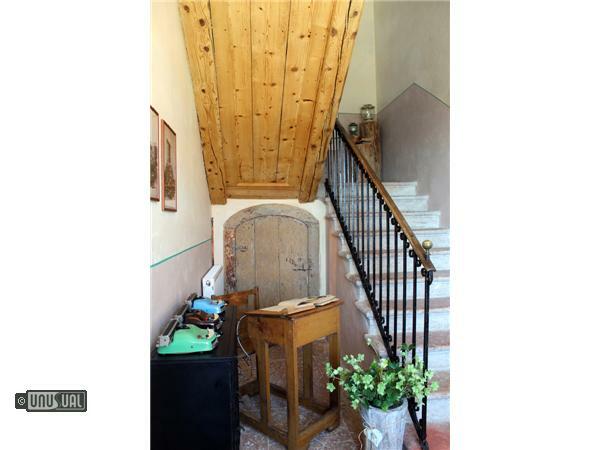 Climb to the top of La Scuola and enter through a small, original wood door - the "granaro" (granery). This is the place where the children would scurry up to gather wood for the stove to heat the classroom. The view in this double room looks out over the valley. 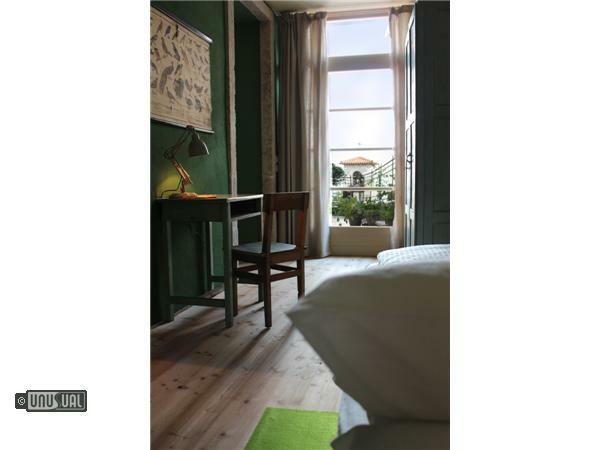 The wood floors of the room are original and the sloping ceiling is restored and exposed. The decoration is in warm colours to add to its appeal. The walls are covered with vintage maps that were used in the classroom. 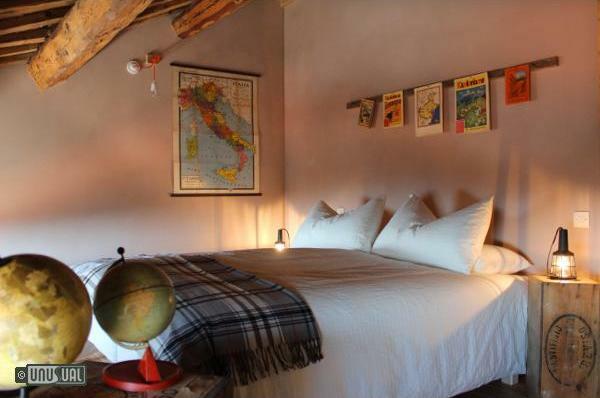 This room tells the tales of the Veneto region, of the Altopiano plateau and of far-off lands. 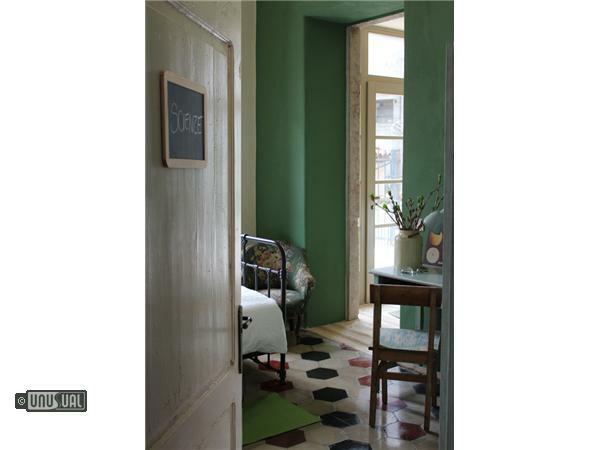 The bathroom includes a large shower and is furnished in retro style, with old style tiles and fixtures. For the most worldly guests! 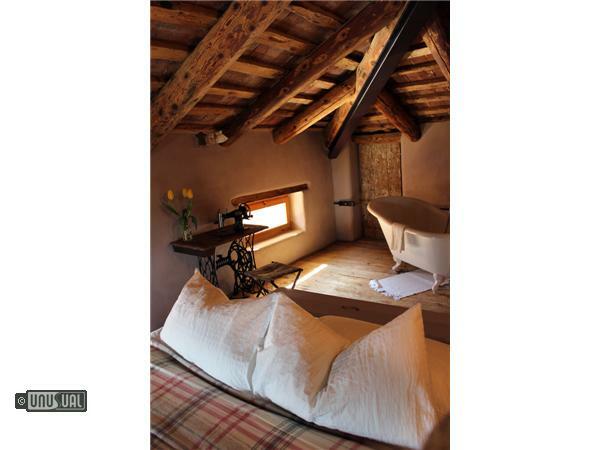 On the last floor, in the attic, they offer a romantic double room with a splendid view of the valley from the bed and ceilings painstakingly restored to their original state, with a splendid Belle Époque bathtub in the room. 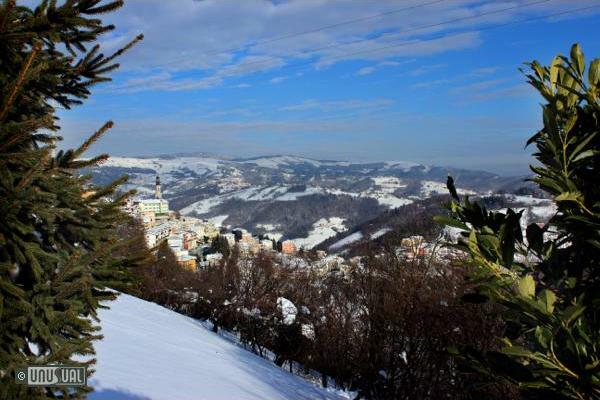 Have a luxurious bath while enjoying the view of the valley. Why the teacher's theme? Because Valeria and Marco heard stories about a teacher sleeping in the attic: she had to stay there overnight because she was from Vicenza and the treacherous roads back then were too long to return home each day. Learn a valuable lesson here. This room is located on the ground floor and has a separate entrance, directly across from the courtyard, through a large, illuminated window that overlooks the belfry. It is decorated in earth tones and has old teaching posters on the walls with lessons dedicated to flowers and fruits. The Science room is spacious and original, including two connecting rooms with 3 single beds (2 beds can be joined). The bathroom is decorated with retro- checkerboard style tiles. Suitable for people with reduced mobility, this room provides direct access to the breakfast room. It is also perfect for guests travelling with small pets. This is the largest room, on the first floor, designed with a theme that caused Valeria and Marco both pleasure and pain but that could not be left out. Fun and playful, it includes a little hobby corner, a school desk, a blackboard, the children’s room with bunk beds and the parent's room with a king size bed. Colourful, with two different views, it looks out over the houses on the plain and the town's rooftops. The vintage style bathroom includes a large shower. Breakfast, is undoubtedly the most important meal of the day. 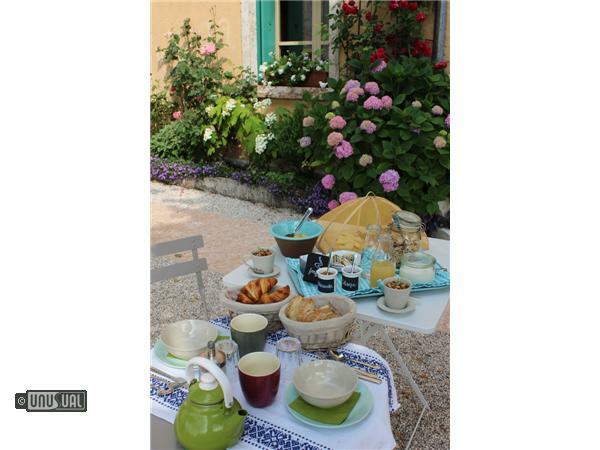 It's even better when you are on holiday and you have time for a leisurely breakfast... or even brunch. 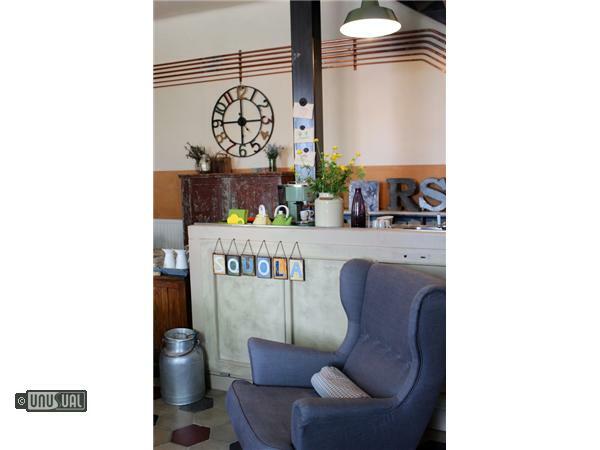 La Scuola Guesthouse gives you back the time you've missed for your special meal: served exactly when you want it! Your meal is served on the ground floor that was once used as a classroom: today it has been restored, but is kept as much as possible in its original form, with a bit of added fun. 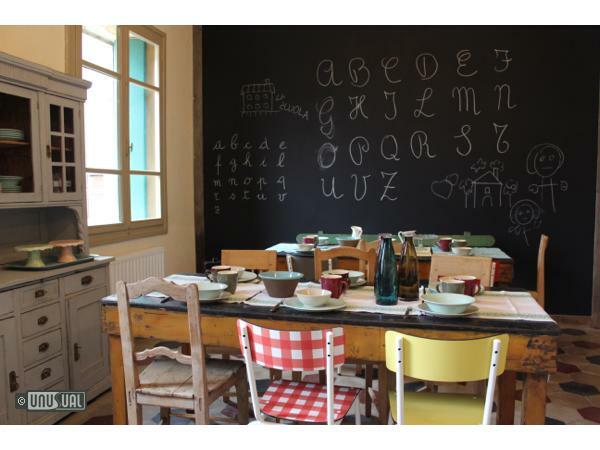 The theme of this room is the alphabet. 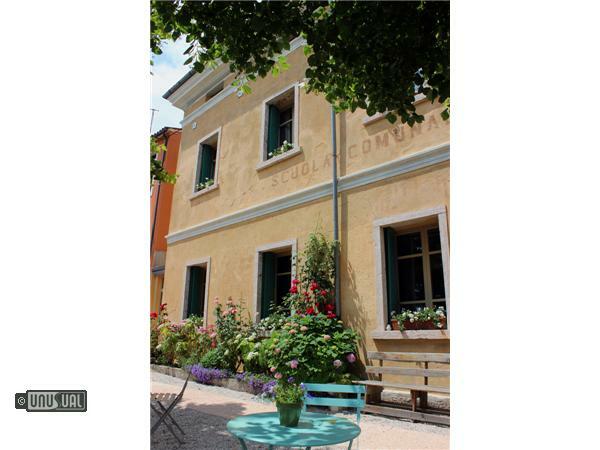 In summer, you can enjoy breakfast in the lovely courtyard in front of La Scuola, in the shade of the linden trees. Marco and Valeria serve coffee, tea, cappuccino, milk, hot chocolate, fruit juice, bread, butter and local yogurt, organic jams, hazelnut and chocolate cream, brioches, cakes, tarts and plum-cakes, sweet and savoury muffins, local cheeses, cold cuts, fruit … and anything the local market offers on that day. If you have special meal needs, please tell La Scuola Guesthouse in advance. 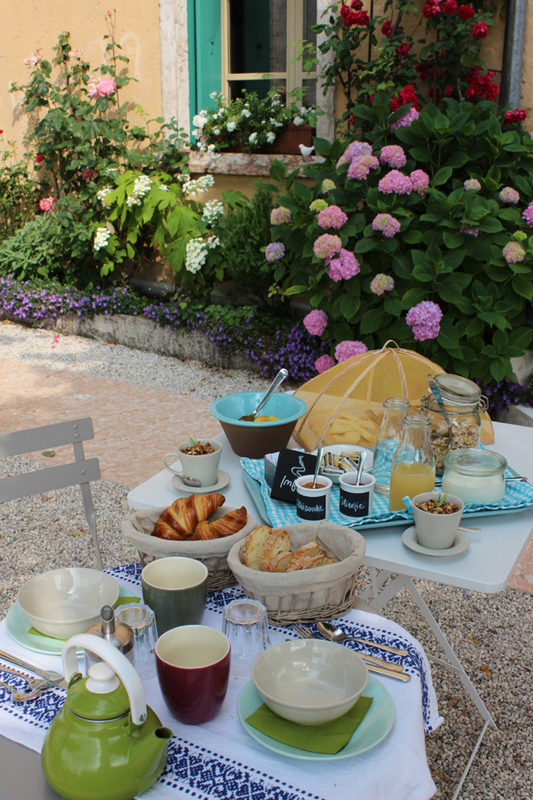 Breakfast is included in your room rate and La Scuola Guesthouse would be delighted to prepare a basket for a nice picnic wherever you like – just request it the evening prior. Breakfast is as easy as ABC. 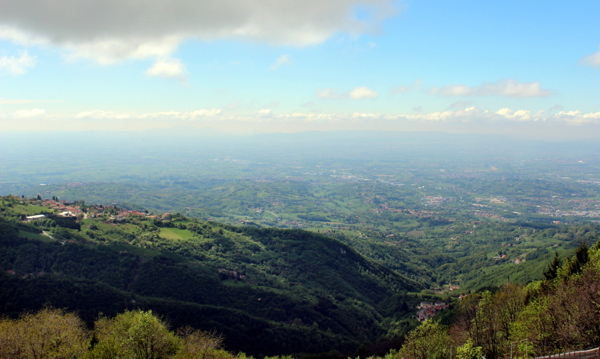 Low season is perfect to appreciate the Veneto region away from the crowds, avoiding the Italian holidays. 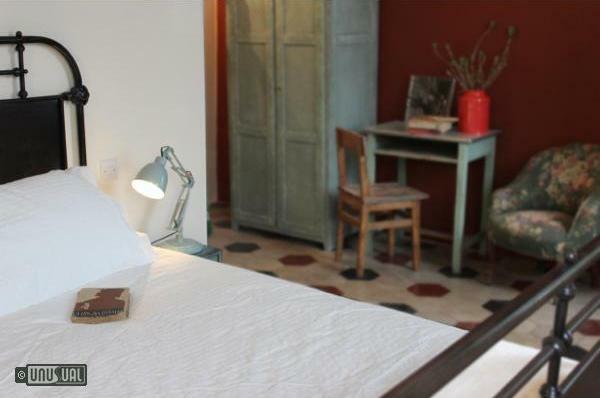 There is a 15% discount for a two night min. stay, all year long. Rates are lower from Sunday to Friday. 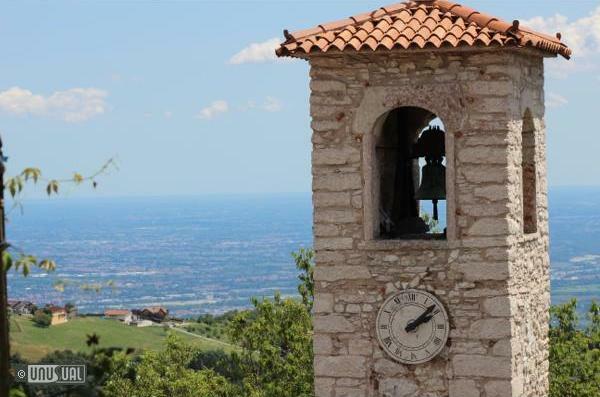 How to get there: Located just an hour and a half from Verona and Venice, a bit closer to Padova and Treviso, and halfway between the medieval town of Bassano del Grappa and the hiking trails up to the mountains of Asiago. Ideal for a long weekend in the country, but also the perfect base to see the whole region for those from further afield. Once there, you can set off on a hike from one of the many trails that take you up to the highland pastures past working dairy farms in spring, search for mushrooms in the forest in late summer and early fall, or collect chestnuts in October and November. 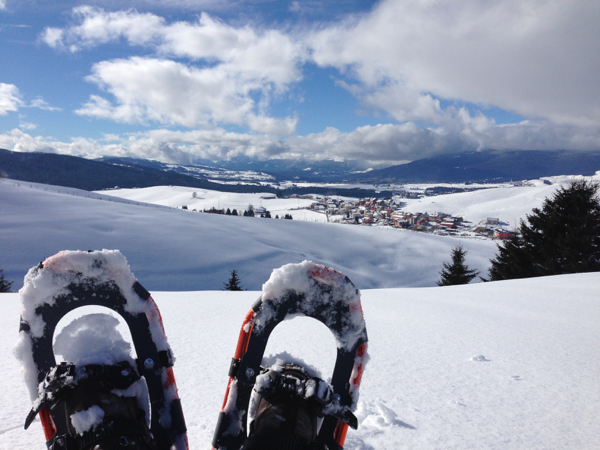 In winter, snowshoeing is popular, and of course food and wine are the highlight of an Italian holiday.